There are over 200 varieties of hibiscus tea that are commercially sold in the United States. The formal name of hibiscus is the Hibiscus Sabdariffa flower. It is caffeine-free (as long as it is not blended with other teas) and bursting with sweet-yet-tart flavors, making it the perfect swap for a normally sugar-filled juice or beverage. Its flavor is thought to be similar to cranberry, and it is sometimes referred to as “sour tea.” It is rich in anthocyanins, which are responsible for its deep red/magenta color. It can be served cold as a refreshing glass of iced tea or hot to warm you on a cold day or as part of an evening ritual. This was a blind study, which means that neither group knew which treatment they were receiving. After just six weeks, the researchers found that there was a substantial reduction in systolic blood pressure in the patient group that was drinking the hibiscus tea. 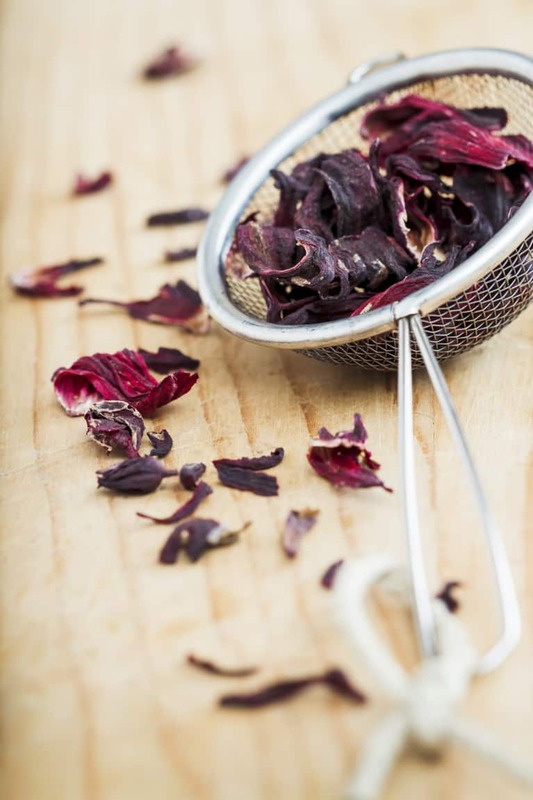 The blood-pressure-lowering effects of hibiscus tea could be a result of its flavonoid or its phytochemical content, although that’s not entirely conclusive. 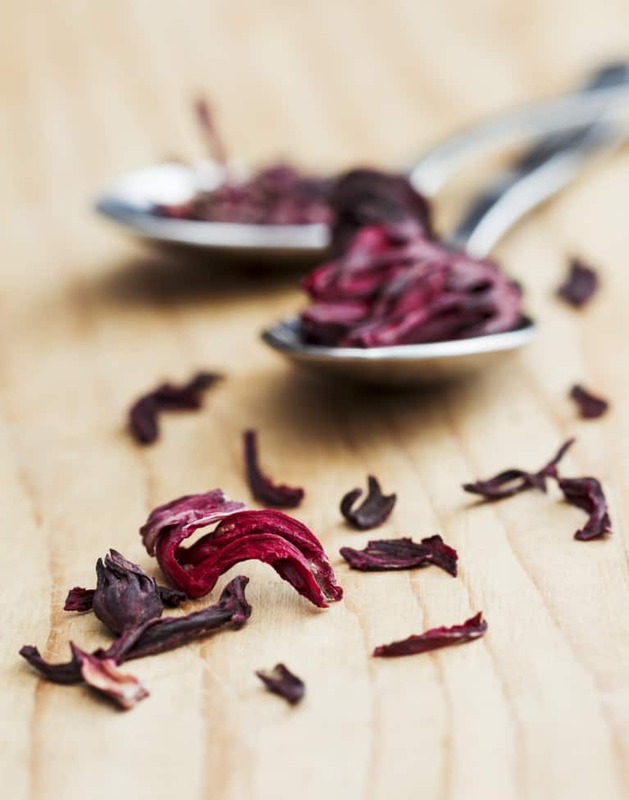 The results of this study suggest that if consumed over time, hibiscus tea can reduce the risk of stroke and heart attack, which is another huge benefit of hibiscus tea. Hibiscus tea is loaded with antioxidants and could be helpful in reducing oxidative stress in the body. In fact, it was higher in ORAC (oxygen radical absorbance capacity), a lab test that quantifies the total antioxidant capacity of a food or food substance, than matcha, which was previously thought to be the most potent tea source of antioxidants. Hibiscus tea contained ORAC values twice as high as matcha’s. Hibiscus tea contains two antioxidants: anthocyanins and quercetin glucoside. Oxidative stress occurs when free radicals invade the body and the body does not have enough antioxidants to combat them. 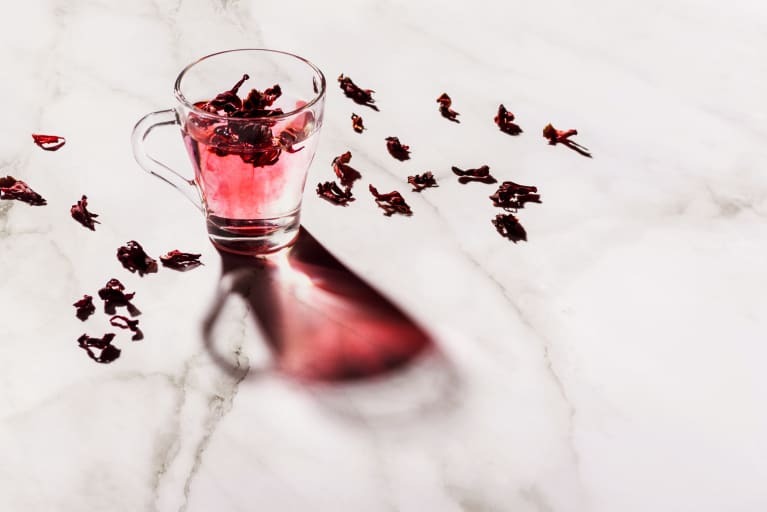 Free radical damage may contribute to many health issues ranging from cancer to aging skin, so it’s good to know hibiscus tea can be so helpful.